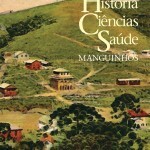 The anthropologist Elena Calvo-González analyses genetic studies of the Brazilian population. “Night Will Fall”, directed by André Singer, features newsreel footage of the liberation of Nazi concentration camps in 1944-45. Rafael Huertas analiza el concepto de “obsesión” antes y después de Freud. NYPL announces the release of over 20,000 cartographic works as high resolution downloads. Marcos Cuetos discusses three aspects and three dangers of this devastating ebola outbreak. Managed by the Free University of Berlin, this is an international project involving editors and partners from over fifty countries.